The TUFF Side Tee is the smoothest and softest t-shirt you'll ever wear. Made of fine jersey, it has a durable, vintage feel. These classic-cut shirts are known for their premium quality, as well as ability to stand up to a washing machine (will keep size and color after many washings). Kyle K. Reviewed by Kyle K.
Just received this T-shirt last week worn it 3 times already. I’m a T-shirt junky and this is by far my favorite. Fits perfect, great material. Functions perfect for training or around town. Wish I had one in every color. Hi Kyle! Awesome review!! It really looks like you love your new TUFF tee!! Keep working hard in the gym and #STAYTUFF . Thank you for your support. 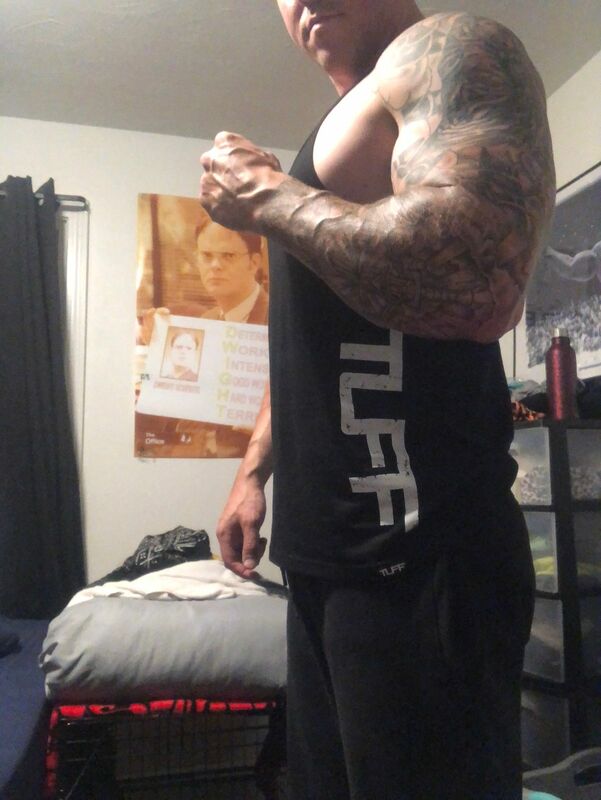 All of TUFF product is quality..
Steven H. Reviewed by Steven H.
Shirt fit great. Perfect fit and the shipping was fast. Definitely would purchase again. Ryan David P. Reviewed by Ryan David P.